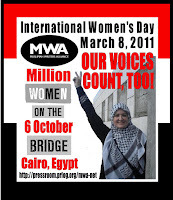 PRLog (MWA-NET) – Mar 07, 2011 – (EGYPT) - On Tuesday, March 8, 2011, in conjunction with the celebration of the 100th Anniversary of International Women's Day, Muslimah Writers Alliance (MWA) urges global citizens of conscience to join the "Women on the Bridge" campaign in support of a call for an end to violence against women in conflict zones, like Palestine, Libya, Afghanistan, Kurdistan, Iraq, etc., in addition to calling for equal seats at negotiating tables in support of peace initiatives. "Because of a lack of education and access to information, many women are unaware of their human rights. Those who are aware and actively opposing injustices, live in genuine fear for their lives," stated MWA Director, Aishah Schwartz. Schwartz added, "These women need our support to gain the skills and confidence they need to play a full part in rebuilding their communities; so they can raise their voices, knowing they will be heard." It is anticipated that on March 8 more than 200 bridge events worldwide will take place from the Millennium Bridge in London, the Brooklyn Bridge in New York City, the Golden Gate Bridge in San Francisco, the Grand Barriere Bridge joining Rwanda and Congo -- and from Cairo, Egypt's 6 October Bridge. 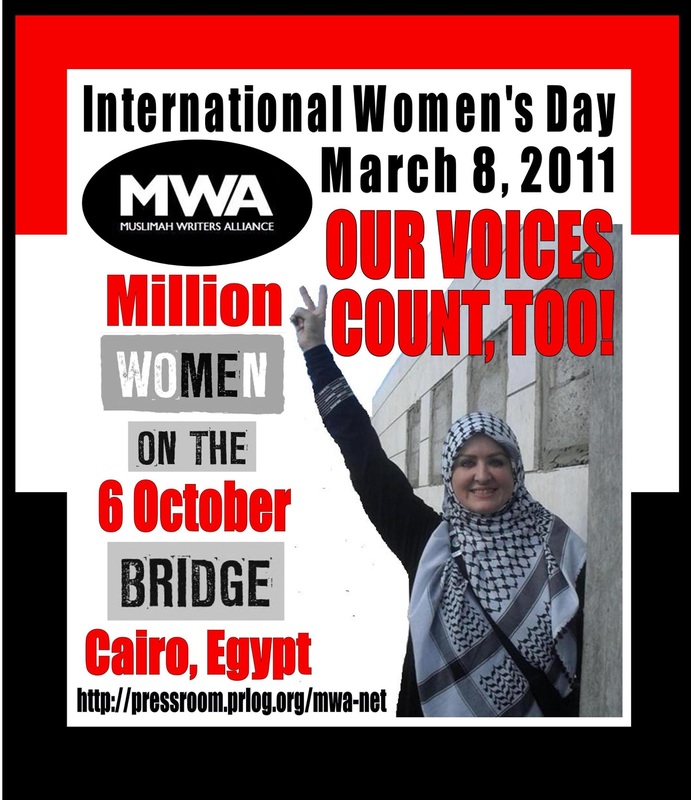 Also Joining this year's 'Women on the Bridge' campaign from Cairo, Egypt is the collective initiative known as "Women4Democracy", calling for a Million Women March from the now world-famous Tahrir Square to the 6 October Bridge. 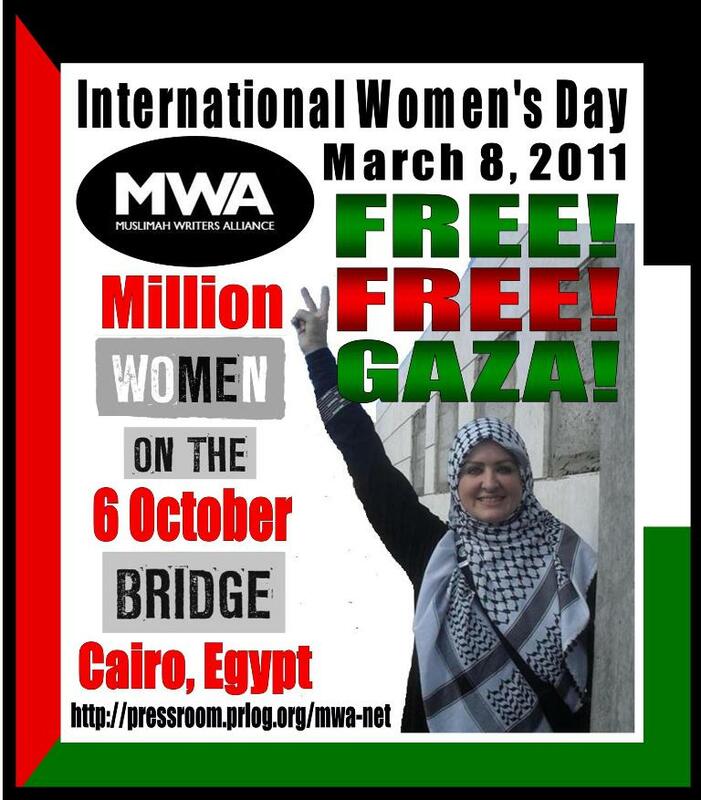 Playing no small role in the recent and ongoing Egyptian Revolution, Egyptian womens rights advocates reiterated in a recent New York Times article that the challenge they face now is to make sure women maintain their involvement as the nation purges itself of the Mubarak regime, by seeking political gains and true equality. Genital cutting of women is also still widely practiced in Egypt, especially in rural areas. Women in Egypt also suffer a level of sexual harassment that would not be tolerated in many countries. They are often verbally harassed on the streets of Cairo and sometimes groped in crowded spaces whether they are veiled or not. 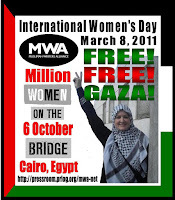 Can't attend a Women on the Bridge event? Sign the Petition calling for women in Afghanistan to have a greater involvement in the peace process at www.womenforwomen.org/bridge.